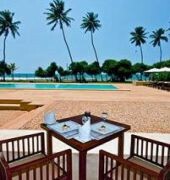 The Haridra Resort and Spa is a four star hotel located on Wadduwa Beach, on the West coast of Sri Lanka. 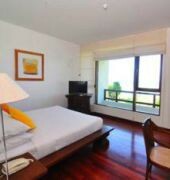 The resort features spacious suites with panoramic views of the gardens or sea. Accommodations include a private bathroom, satellite TV, mini bar, tea and coffee-making facilities and complimentary WiFi access. Some suites feature separate living rooms and private plunge pools. The hotel includes 2 restaurants serving a variety of local and international cuisines, and a bar. In-suite dining is also available via room service. The hotel is home to a full-service spa offering a variety of Ayurvedic treatments and massage services. 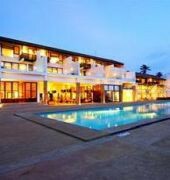 In addition guests have access to a large outdoor swimming pool and a well-equipped gymnasium. 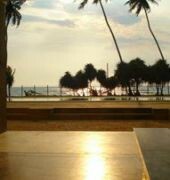 The Haridra Resort and Spa is approximately 68km from Katunayaka Airport.